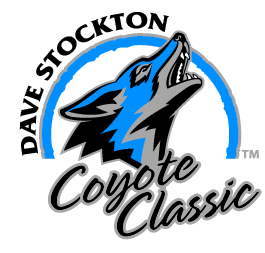 Come and join the Coyote Athletics Association (CAA) to celebrate the 2013 Dave Stockton Coyote Classic tournament on November 18 at the Arrowhead Country Club in San Bernardino. This year will be the CAA’s 18th annual event and has achieved more than $586,000 to aid scholarship and training to all 10 NCAA sports at CSUSB. The event will be hosted by a true representative of golf and native of San Bernardino, Dave Stockton. Stockton has won 25 professional championships in his career, including the PGA Championship in 1970 and 1976, as well as the Senior Open in 1992, 1994 and 1996. In 1991, Stockton was captain of the Ryder Cup team and assistant captain in 2008. Presently, Dave Stockton is known as the renowned PGA Tour Player Coach. The admission fee of the tournament will cost $325 per person or $1,300 per group of four. For people who want to attend the awards dinner only, the fee will be $60. Individual golfers and teams will compete against each other will be held during the day. The event will conclude with an awards banquet that will include a raffle, auction and winners of the Dave Stockton Cup will be announced. Golfers will get the opportunity to sponsor and select six sponsor packages that range between $15,000-$150. The following sponsor packages are: the Title sponsor for $15,000, the Eagle sponsor for $10,000, the Birdie sponsor for $5,000, the Par sponsor for $2,500, the Tee Box sponsor for $1,000 and the Tee Sign for $150. The perks included but not limited to are tournament entries with all golfer amenities, option to include CSUSB golf team members, reserved tables at Golf Classic Recognition Dinner, sponsor recognition on all promotional and marketing material, and one framed tee sign autographed by Dave Stockton. Golfers will be able to win prizes, have food provided throughout the day and get a chance to get a team photo with Dave Stockton. For more information, please access the CSUSB athletics page at csusbathletics.com.